Elevate your look with this Cobalt Lizard Strap for use with Apple Watch. The stainless steel buckle of this 38mm strap is completed by the signature logo engraving. It is made specifically for use with either Series 1 or Series 2 Apple Watches for a luxurious look and can not be paired with a MICHELE watch head. 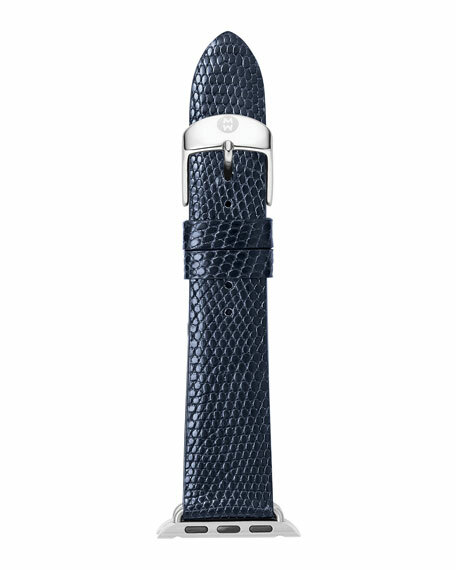 MICHELE lizard strap for Apple watch. For in-store inquiries, use sku #2233039.